The Relax Apartment House is Heviz's exclusive apartment house, with 10 hotel level 55-75 square meter apartments waiting their guests longing for curing, relaxing and recharging. 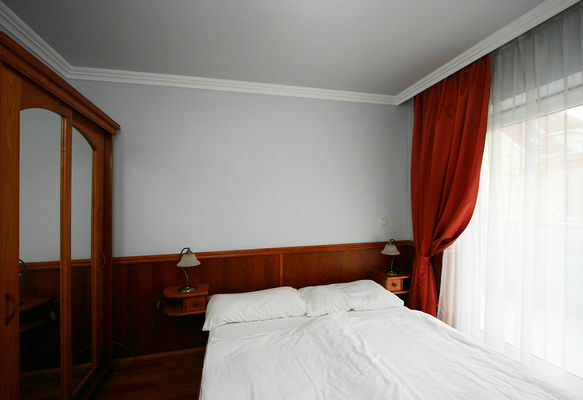 Besides the high standard accomodation, elevator and garage are to serve the perfect comfort and relaxing. 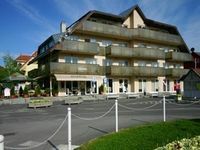 The house is situated in the city center 100 meters far from the lake. The equipment of the apartments: 55-75 m2 one or two roomed apartments. bathroom with shower, safe, tv, big balcony, hairdryer, full equipped kitchen, airconditioner wait for their guests. Choose the affordable luxury. Be richer with an unforgettable experience. Relax Apartment House waits for you as well. • Breakfast is not included in room rates. It is available at 1500 HUF per person. • Half board is available at 1800 HUF per person.